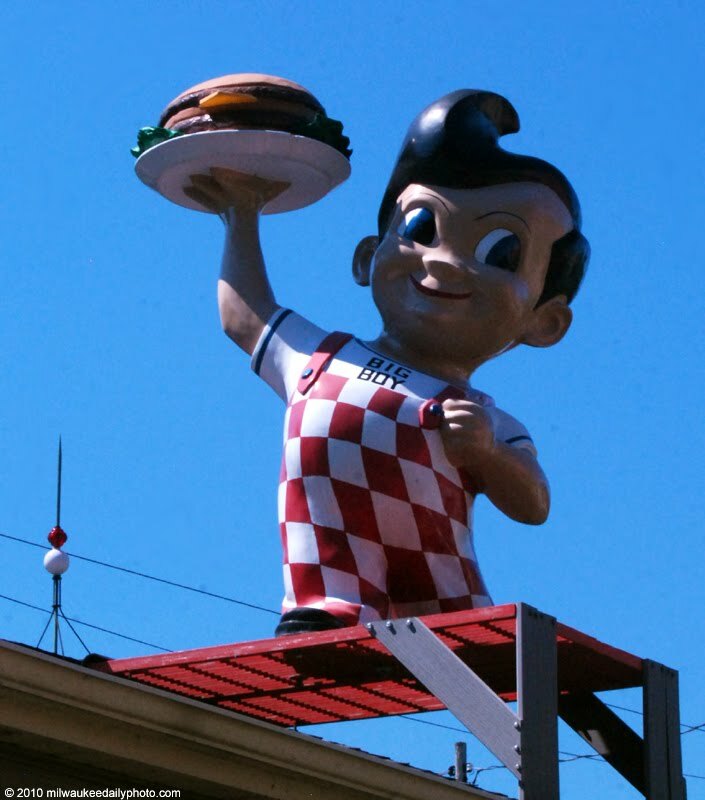 As a kid in the 70's, we would go to Marc's Big Boy for lunch or dinner. Their famous mascot in his red and white checked overalls would be on the roof or a sign out front, making them easy to find. This statue is on the roof of a garage in Cudahy, next to a yard full of unusual decor. If you have a sudden desire for a Big Boy burger, Kil@Wat restaurant has it on their lunch menu! I think this was called Bob's Big Boy out here. Was surprised that the Boy was still displayed until I read it was saved by a private collector. Never thought I'd be pleased to see someone preserve kitsch, but I am. There's a guy here who has saved three dog heads from Doggie Diner. Same vintage.